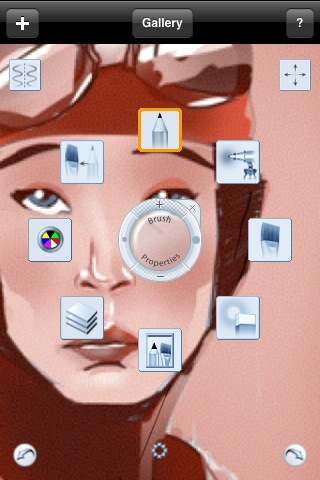 The iPad is fingerpainter’s new toy, and SketchBookPro for the iPad one of the most promising painting apps out there. 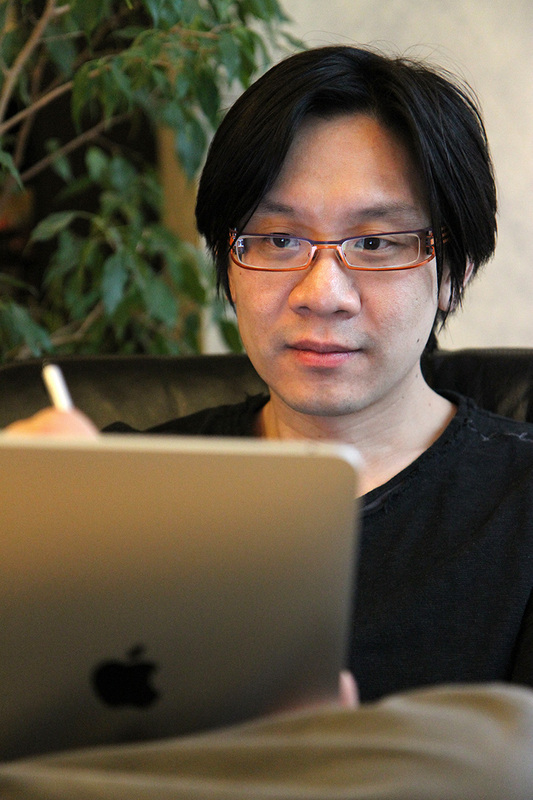 Chris Cheung, Product Manager of SketchBook at Autodesk was so kind to answer us some questions about the birth of the idea, future plans and hand-made iPad replicas. fp.it: Hi Chris! So, the iPad is finally here, did you find any time to paint yet? 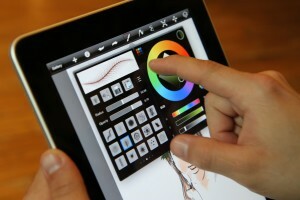 SketchBookPro for the iPad was ready for the iPad launch, and fingerpainters really seem to love it. As a software-developer-kinda-guy myself I know how important user-feedback is. Did you work with fingerpainters beforehand to improve the app? Do you think the iPad app will have influence on the desktop app in any way? 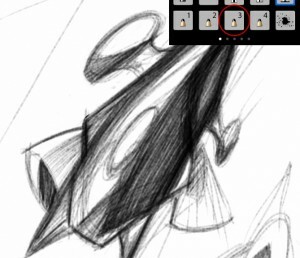 Adobe jumped on late now with ‘Ideas’, but Autodesk was the first of the ‘big players’ to come out with a painting app on the iPhone/touch, SketchBookMobile. What causes Autodesk to create an app for the mobile platform? 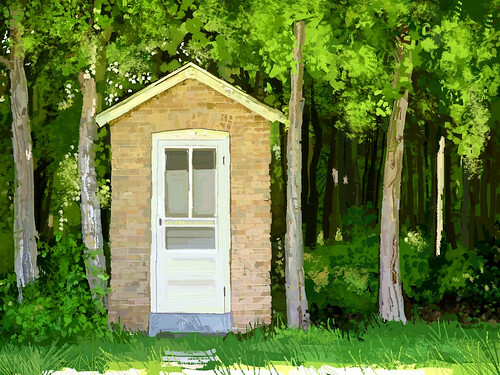 To me, the mobile version appeals more to experienced digital painters like Susan Murtaugh or Thierry Schiel. Do you agree? And does SBMP try to change that? “I think SketchBook Mobile really exposed Autodesk’s sketching technology to the world-at-large. 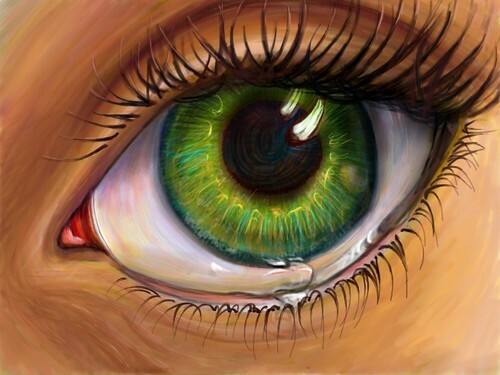 Even though the artwork of experienced digital painters stands out because of their exceptional quality, it is truly amazing to see the types of people who have become dedicated finger painters. When you read the reviews on the App Store, you find that many designers and architects are using it as part of their professional work. “I have also received many emails from people who claim to have little artistic ability, but have become inspired by using SketchBook Mobile to be creative and express themselves. One person even sent us a thank you letter because he started selling t-shirts with the art he created on the iPhone, saying it was the “best 3 dollars he’s ever spent.” Personally, I’m biased toward one of my favorite users, my daughter. She’s 4 years old, and she’s completely comfortable drawing on SketchBook Mobile. With her little fingers, the iPhone is actually pretty big! SketchBook on the iPad already has some comunnity integration, is this somewhere you wanna go? You are already supporting fingerpainters by sponsoring art-shows. “We are proud to be able to help out and sponsor some of the art shows that are taking place. The iPhone exhibit happening at Comicon in Naples this April 30th and The World at our Fingertips, which is opening on June 26th in Algoma, Wisconsin. The most exciting aspect of this is seeing how sketching and paint Apps are attracting new interest in Art & Design. The excitement around mobile devices and the iPad has been tremendous and a happy bi-product has been the added attention and interest to the creative users. We are pretty proud of what our customers have been doing with our App, so it is an honor to support them at shows and events. One of the most valued features in ‘Brushes‘ is the Viewer component, where you can open paintings, then replay or save at higher resolution format. Does SBMP plan on anything like that, maybe some tight integration with the desktop app? I personally love the new brush tips in SBMP, or at least the first half of it 🙂 Now that the iPad has been released, what sort of updates can we expect to see from SBMP in the near future? E.g. If there’s one feature I’m missing now it would be masking. Any hope? 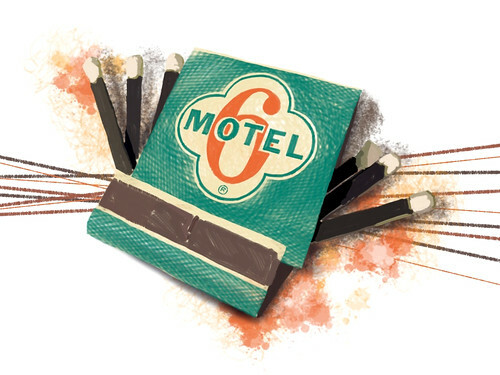 “We have no shortage of ideas and plans for SketchBook. The first release on iPad is really just the beginning. We’ve already put out a quick update to support sharing to iTunes, so users can now export PNG or PSD files directly from the SketchBook Pro Gallery. We fingerpainters like to see ourselves as some early adoptors to a new way to create art, maybe even an own school. How do you see the scene from outside? Chris, thanks a lot for the interview! This entry was posted on Sunday, April 18th, 2010 at 16:48and is filed under . You can follow any responses to this entry through the RSS 2.0 feed. You can leave a response, or trackback from your own site. fabulous interview with my favorite AppMan… Thank you, Benjamin really great reading about how it all came abut and… Thank you, Chris and your wonderful team for providing us with such marvelous tools. They have changed the way I work and I’m loving every minute of it! ^Up^ x a million.